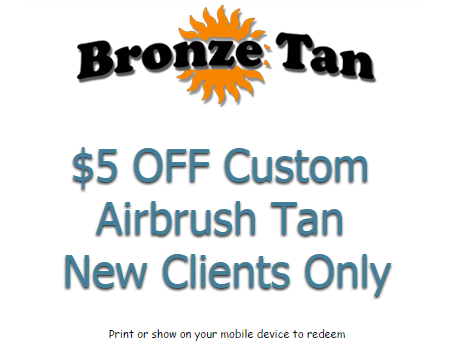 Bronze Tan offers top-of-the-line tanning beds, spray tan booths, and custom airbrush tans. 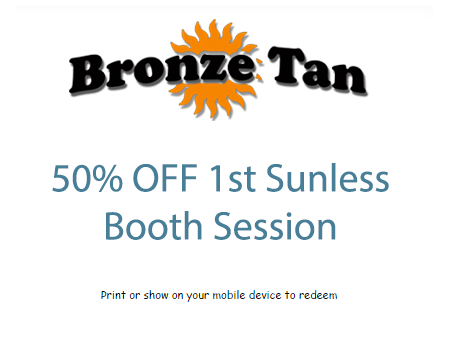 Take advantage of our tanning coupons below. 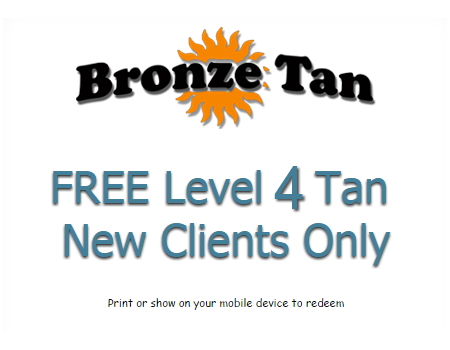 Contact us today to start your tanning experience today or click here to book a sunless tanning appointment.